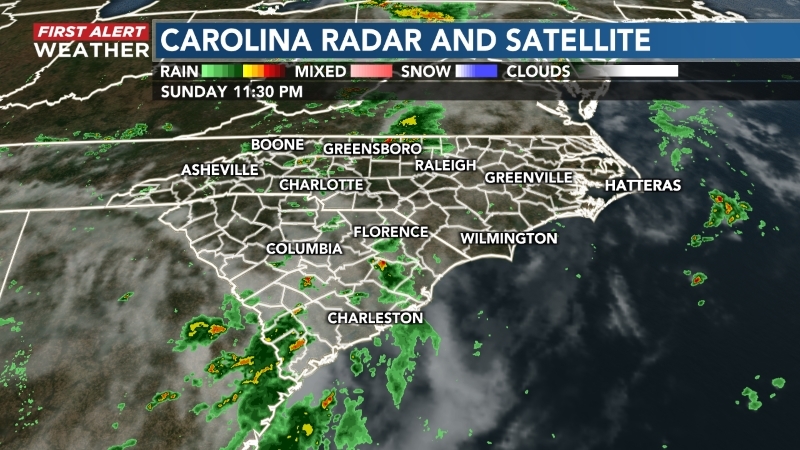 BRUNSWICK COUNTY, NC (WECT) - Hearing mysterious loud booms, or Seneca guns, is nothing new in the area, but they normally aren't accompanied by lights in the sky. Lots of perplexed folks posted on WECT's Facebook page about both the booms and lights Thursday night. Ricky Prince was on his way home from work Thursday night when he heard something. "It kind of sounded like a jet breaking the sound barrier," he said. He stepped outside to see if he could tell what it was, and saw something strange overhead: two bright lights that flashed off and on. Prince says he's seen flares before -- and he's sure that's not what he saw this time. "There was no tracers…no glow around them and each time they appeared," he said. "They were the same distance apart in the sky." Just 20 miles from Prince's house in Shallotte, Chris Quinn saw the lights in Boiling Spring Lakes. "The lights, I've never seen them before," said Quinn. "They started at like…somebody was lighting some type of special firework that was silent, and it just got bigger real quick and it faded out…"
Quinn figures the lights could be manmade…but then again, perhaps not. "It was probably something out of this world, or military," said Quinn. "Who knows what it could have been. It was definitely something that you hardly ever see." As quickly as the mysterious lights appeared in the sky, Prince says they were gone. "I come running outside again, of course, and scouted out the sky for six or seven minutes," said Prince. "Then, I didn't see any more lights at that time." For now, the lights over Brunswick County remain a mystery -- and are sure to leave room for debate. None of the nearby military officials WECT spoke to claim responsibility for the loud booms or the lights in the sky.